I've been on a cooking-kick lately... trying a bunch of new recipes on the weekends...and a couple have been really tasty, so I thought I would share them! 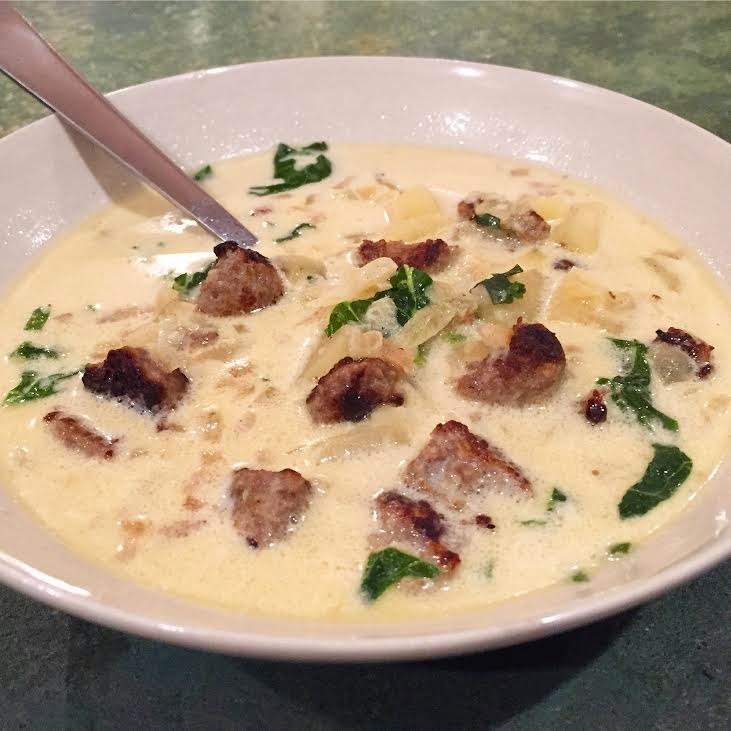 I love Olive Garden's Zuppa Toscana soup, so I went searching for a copy cat recipe and the one I found tastes EXACTLY like the restaurant's version - I was really happy with the way it turned out! 2. Brown the sausage and dump (grease and all) into your soup pot. 3. Add chicken broth and water to pot and stir. 4. Place onions, potatoes, and garlic in the pot. 5. Cook on medium heat until the potatoes are done. 7. Salt (and pepper) to taste. 8. Simmer for another 10 minutes. 9. Turn to low heat. 10. Add kale and cream. 11. Heat through and serve! This is my favorite soup! Can't wait to try the copy cat! Who knew it would be this easy?! Delicious!